Governor Phil Murphy has signed legislation sponsored by Senator Kip Bateman (R-16) that will allow school nurses or another trained employee to administer an opioid antidote such as Narcan, to anyone who overdoses on school grounds, including students and staff. The legislation also requires high schools, and permits lower level schools, to maintain a supply of the opioid antidote, naloxone hydrochloride, on school grounds at all times. “When someone is dying from an overdose, every second counts. 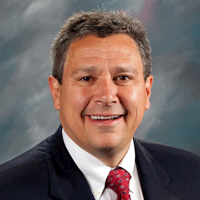 We shouldn’t waste time waiting for an ambulance to arrive, when a trained employee could save someone’s life immediately,” Senator Bateman said. “Addiction is a disease. We can’t bury our heads in the sand and pretend that this is not affecting kids across New Jersey. We have to be ready to save young lives and that means having Narcan on school grounds at all times. Drug overdoses are the sixth-leading cause of death in New Jersey, with the rate of fatalities on track to increase in 2018, demonstrating the critical need for Senator Bateman’s legislation. Youth overdoses are also on the rise in New Jersey. Senator Bateman’s legislation, A-542/S-1830, amends the “Overdose Prevention Act” to include schools, school districts, and school nurses among the recipients that may be prescribed the opioid antidote naloxone hydrochloride through a standing order. 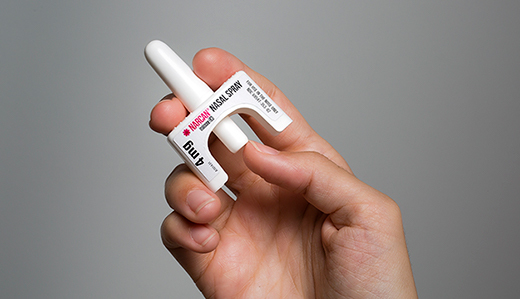 Commercially available brands of the opioid antidote include Evzio and Narcan. Under A-542/S-1830, the opioid antidotes must be accessible in the school during regular school hours and during school-sponsored functions that take place in the school or on school grounds adjacent to the school building. The school nurse will have the primary responsibility for the emergency administration of an opioid antidote. However, school officials can designate additional employees who volunteer to administer an opioid antidote when the nurse is not physically present at the scene. The New Jersey Department of Education would be responsible for establishing guidelines for school districts in developing policies associated with this legislation, including training requirements. Bateman worked to develop this legislation with Janice Wagner, Director of Intensive Care and Respiratory Therapy at Hunterdon Medical Center. “Unfortunately, opioid and prescription drug usage is increasing and our youth are not immune to this increase. One life lost while waiting for someone else to administer the life-saving medication in these situations is one life too many,” said Janice Wagner, BSN RN CCRN.